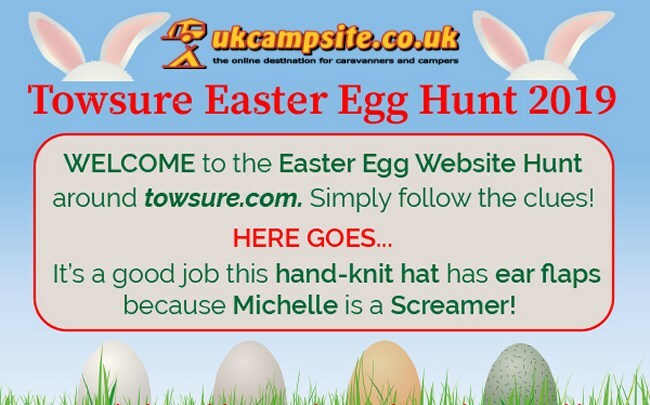 The UKCampsite.co.uk Easter Hunt is back, sponsored for 2019 by outdoor specialist Towsure. 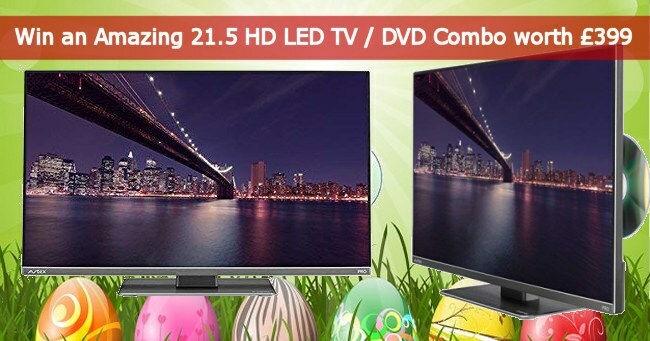 Crack the clues in our fun Easter competition, for a chance to win an amazing Avtex 21.5" Triple Tuner Full HD LED TV / DVD set which can run on 12v or mains power. The prize is a brand new Avtex L219DRS-PRO TV worth £399 pictured above which can run on 12v or mains power. Avtex's 21.5" TV Triple Tuner Pro Series 9 features a brand new, contemporary edge to edge design, utilising the entire TV face for its Full HD LED screen. All you have to do is follow the simple clues, which will lead you to a particular product on the Towsure.com website. On that product page you will find an image containing the next clue - decode that to take you to the next product and so on. The first clue is below. Read the riddle to work out which product on the Towsure website it is referring to, then visit that page on their website, where you will find an image containing the next clue. The clues might take a bit of working out, but don't give up and enjoy the hunt! Please visit this page to enter the code word for a chance to win this fantastic Easter prize!